Oranges, I love oranges they're so juicy, sweet and satisfying - Today I eat 8 of them for breakfast. After transitioning to a fruit-based diet, I've become a fan of eating momo-meals; mono means one - one food per meal. Ninety-nine percent of the cuisines in the world offers complicated well-thought-out dishes: A little bit of sweetness, salt, and other contemporary flavors. Add a few side dishes, and we have ourselves what we like to call a meal. Go to Asia, Mexico, Greece, Japan, United States or France - They all have it embedded in their culture, food is art, food is creating something from simple ingredients into something complex; the aim is to balance all the different tastes into something palatable. Well, nothing wrong with that. Nevertheless, I'd still like to argument that we've gotten a little bit to attached to the complexity, not to mention all the additives; the salt, sugar, spices, taste enhancers, oils and so on. All these different ingredients are not necessarily from a nutritional point of view very healthy for us. I noticed this early on my food journey; It wasn't easy to stop consuming sugar, excessive amounts of salt and other habitual food additions. It felt like something was missing, felt that feeling before? However, I stayed in the mindset of success and even though it was challenging to eat the food as it is, without adding too much to it and only enjoying the pure taste of that food. It did become more enjoyable as I got accustomed to it. Now, I love it! I like to be able just to buy something and eat it as it is - before I eat mainly vegetables and fruits, but when I focus solely on the fruit It's even simpler, no processing is needed - fruit taste so good just as it is anyway! Fruit doesn't need to be covered by spices, sugars, and salt - most fruits will taste best as they are, to distort the fruits initial taste is usually not done for the better. The food cuisines around the world have created art. The chefs mix many ingredients and taste them together until no essential flavor seems to be left out, using spices and other foods to bring the dish to a precise balance of perfection. The art of fruit is very different, the art of fruit is to be simple, fruit grows on plants, usually a tree or a vine. The art is to be captured by the beauty of this creation, to acknowledge its natural perfection. 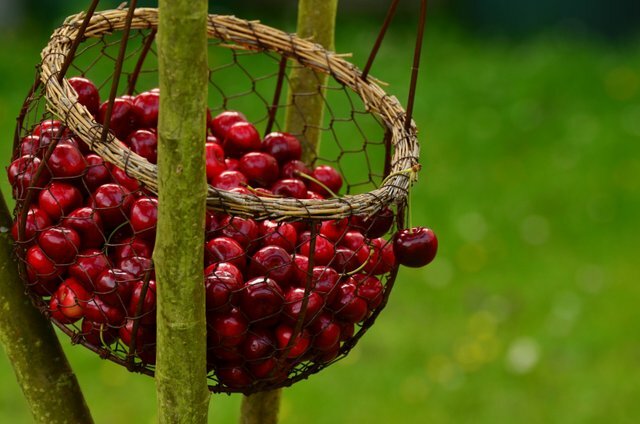 The art is to be let it all happen by itself; nature provides you with the best nutrition available, usually packed in a juicy, sweet colorful form that outwins most desserts humans has created. 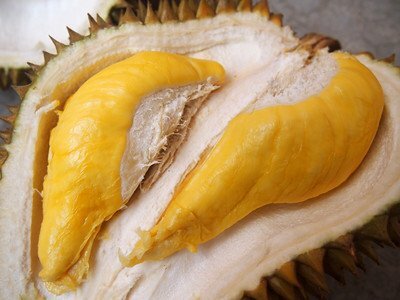 If you don't believe me, you must try the durian fruit. Fruit is so complete and balanced, that eating it by itself is the most obvious way to enjoy it. If you start eating a sweet, sun-ripened mango, why would you think about eating anything else? Art is something you appreciate, often beautiful and meaningful. Thank the fruit, kiss the fruit, nevertheless, fruit always loves you back. I'm speaking about fruit like it was my first high school crush. If you don't resonate with that, I find that very understandable, but I think there is a fruit lover inside all of us. I would argue that some of us simply don't know it yet because of the lack of quality and quantity of fruits we've tried. Anyway, I'll expand on why mono-mealing fruit or other foods are seen as very beneficial for maximizing our health down below. Let's get into everyones favorite subject. By eating one thing at a time, we make it easier for our body to digest the food. The body simply recognizes the food and notice the that it is only one particular nutritional profile, therefore the foods energy is absorbed efficiently at the same speed. By mixing many different foods in the same meal like wheat, beans, meat, dairy, fruit, and vegetables: You create a meal where the digestion time varies from 30 minutes up to 5 hours. Simplify your breakfast, lunch, and dinner for better digestion! Here are some simple, random food philosophies that everyone can adapt to independent of diet. The simpler the food goes through the system, the healthier it usually is for you. If you feel light and stable after a meal it's a good indication that it was a good choice. If you feel tired, sleepy or you just want to lay down in your own grave, maybe you should consider changing your food habits. Eat foods high in water, fruits and vegetables are high water content foods and are closest to match the 70 % water content of the human body. This will not only give you excellent nutrition, but additionally it will make you stay hydrated throughout the day. The better the food taste in and of itself, in its natural state without additives, the better it is for you. Follow your attraction, follow what we all yearn for within our hearts. Fruit is the only food that all our senses get attracted to in the foods natural state. Eat more fruit! I'll leave you with a challenge! You have two choices... well three - the third choice is not to choose. Well, I guess you still choose the choice not to choose. So two or three? I mean what? Do we even have free will anyway? Am I choosing or does it only seem that way? Is this a deterministic universe? was I meant to write this? what if I put this two stars here ** did I trick the universe now with my spontaneity? Haha, free will right there! Anyways, the challenge is to eat ONE food type, only one for a whole meal. I suggest simple and light foods like potatoes, pumpkin or maybe some beans... whatever you'll come up with. The other option is to find yourself some quality fruit, make sure it is ripe, it's a necessity when mono-mealing. Eat as much as you'd like until you're satisfied. You can also just continue with your day like you never read this, but that would be a pity wouldn't it? My favorite is papaya poo :) What's yours? Papaya is my #1 as well. Papaya #1 for smell. Watermelon is #1 for overall quality of a bowel movement. I've done an all-fruit breakfast before, but that usually includes 3-4 different fruits. How do you pick just one when they are so delicious? ;) I guess the solution would be eat a different one each day perhaps so you can still enjoy them all! For me it's all about the quality and what my senses get attracted to. Since I eat mostly fruits I'm very dependant upon the quality of what I eat. If I get my hands on some good stuff that is what I will eat. If I don't I'll usually end up eating the more "stable" nutritionally wise fruits like bananas, dates and supplement with juices. Makes perfect sense. We've got a few more months until we can hopefully go strawberry picking and I can eat a wonderfully satisfying mono meal straight from the field! You make a lot of great points, if you feel great and light after you eat, you probably ate right. I know i haven’t ate well when i feel stuffed and weighed down.... I’m not sure I could eat entirely fruit all the time, but I have tried a raw food diet. I need to do that again soon, but I will take on your challenge. One meal, with one food type is doable 😊. First of all, I loved reading every word you wrote. The underlining comedy to your writing style while simultaneously teaching me something about mono meals was riveting to read. Thank you for that! I also believe fruit is a perfect whole food and needs no kind of alterations. just a question dont u find ur body have a reaction to eating so much acid at once or are those oranges sweet ones? sometime i do end up having a mono food meal without realizing (being lazy) not sure i could do it all the time unless i had an unlimited supply of mangoes and avocados and sunshine! The oranges are sweet and in season. Not acidic at all. Yeah, you could probably go a long way with mangoes, avos, and some sunshine. With only fruit, it does get looser. I had a long period where it was very lose and weird colored. But after the transitioning phase a little bit fimer, but still effortless to get out, usually within 15 seconds, no pressing needed. And, yes, when I do eat very clean, simple fruits and all that it doesnt smell bad at all, usually I can just smell a hint of what I've been eating. 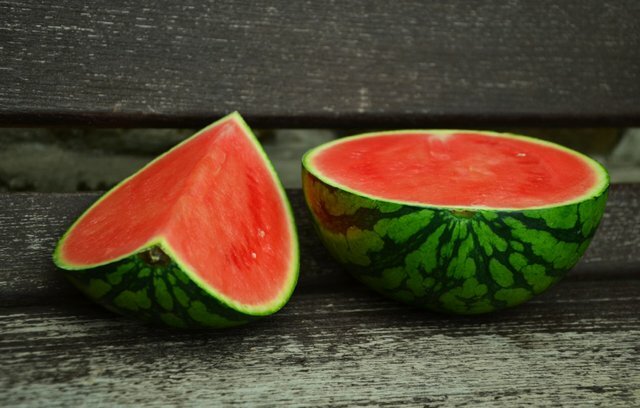 I love watermelons. One of the best fruit in this planet! very iron rich, incredible fruit! Yes! I love monomeals : ) I often get in the mentality when making a meal that the more variety I add the broader the nutrient profile becomes so that makes the meal better, and while that may be true, it's easy to burden the body with complicated combos. With fruit, especially in the summertime, it's refreshing to have a meal that's so radiantly flavorful and provides such a clean energy. Since fruits are mostly water too there's nothing easier on the body and their deeply hydrating. It really drives home the point that sometimes, less is more. Whether it's something light like watermelon or a slightly heavier option like durian (my favorite food : D), by only having 1 type of food at a time, we can really get more energy than if we had a diverse meal. The more types of food eaten at once, the more enzymes are needed to break it all down, monomials are the closest thing to fasting because of how easy they are on the system and I so look forward to summer when the fruits are abundant and simple meals become more effortless. Thank you for putting this article together, it's fantastic! Mono fruits is convenient but not ideal. Our taste buds get tired of it quickly and we lose our appetite quickly. Eating just fruits is already difficult to get enough calorie. Now, mono fruits making even more difficult to eat. Banana by itself is too sweet. Lemon by itself is too sour. By when you mixing both. You get the perfect combo taste. Because it taste better, we can enjoy more and eat more to get enough calorie. Every fruit have it's strength and weakness. By pairing the right kind of fruits together, we get 10 times of excitement. And hopefully getting enough calorie. There is no evidence that our body can only process one kind of food at a time. Naturally, it's also possible to find banana and lemon at the same time. And when you are eating, just put them together. I've been at periods eating half of my calories from only mangoes and I loved it! It didn't get boring at all. However, if the quality of fruit I have available isn't good, I prefer mixing - preferrable in smoothies. It can be challenging to get enough calories if you haven't been eating only fruits for a few months. It took my about two months before my stomach had gotten used to the high water-content fruit and gotten flexible enough to meet my caloric needs. Smoothies help, and bananas and fatty fruits and dates. I'm not saying there's evidence that our body can only process on food at a time, I'm just saying that if we eat one food at a time it is processed more effortlessly, I'm not going to build up a scientific statement for that, rather I'm just speaking from my own experience from experimenting with it. The more mono-meals I eat, the better digestion I have. It, took my a long time before I started digging mono-meals, and as you say it can be considered boring. Nevertheless I think this is mostly because we are so used to stimulative foods, and that it takes time to be able to appriciate eating simpler. I'll come and give you some amazing mangoes one day, and I'm sure if you try them you don't want to eat anything else for that meal, I think it's all about the quality, it has to be super-good. But we're all so different too, so maybe that's just your preference; to not eat mono-meals. It's super and beautiful we all think differently. Imagine you go to a garden and all the flowers are one kind and one color. As long we don't kill innocent animal like an extreme mad man. Love it! Been plant-based for almost three years. Subscribed. After reading the very first line of this post yesterday I grab myself an organic banana and it turns out I ate only raw the whole day. Organic bananas and some frozen organic raspberries. I had the best night of sleep in weeks if not months and I know what I ate and didn't eat was in for a lot in this.